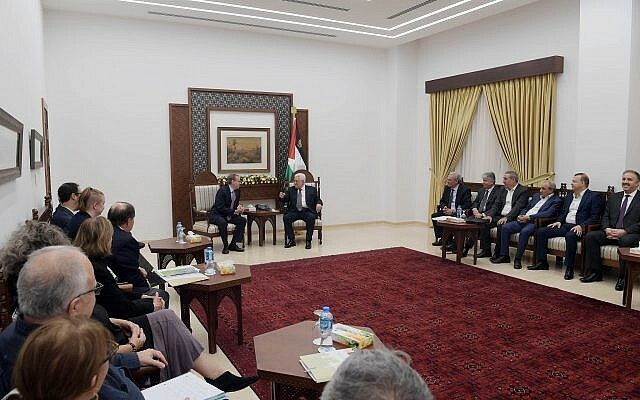 Amid a nadir in US-Palestinian relations, Palestinian Authority President Mahmoud Abbas met Wednesday with the leadership of the liberal Mideast policy group J Street at his headquarters in Ramallah and thanked the group for its lobbying efforts in support of the peace process. 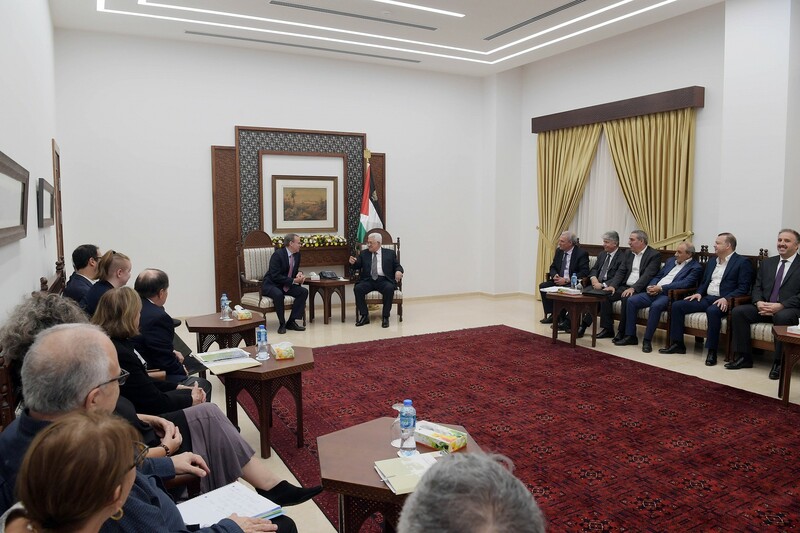 Abbas welcomed the delegation, led by J Street Executive Director Jeremy Ben Ami, expressing his “appreciation for their efforts to support the peace process within American society,” according to a readout of the meeting published by the official PA news site Wafa. The United States has traditionally been UNRWA’s largest contributor, providing around $350 million (300 million euros) a year, but President Donald Trump has cancelled all support. In September, the US announced that it would cut nearly $300 million in planned funding for the UNWRA, which it castigated for its practices, and will no longer fund the agency at all. “The administration’s decision will exacerbate the already dire humanitarian crisis in Gaza, where one million people – half the population – depend on UNRWA for food assistance,” the J Street backed letter said. The meeting was attended by PLO Executive Committee members Ziad Abu Amr and Ahmad Majdalani, PA General Intelligence Services chief Majid Faraj, Fatah Central Committee member Hussein al-Sheikh and Fatah spokesman Osama Qawasma. Announcing it would no longer fund UNRWA, the US State Department said: “The fundamental business model and fiscal practices that have marked UNRWA for years – tied to UNRWA’s endlessly and exponentially expanding community of entitled beneficiaries – is simply unsustainable and has been in crisis mode for many years.” This appeared to partly be a reference to the fact that the agency grants refugee status to Palestinians who have gained citizenship in countries where it operates, something not granted by the UN to refugees from any other places. The US will now work together with other international groups to find a better model to assist the Palestinians, the statement said. The US had been supplying nearly 30 percent of the total budget of UNRWA, which provides healthcare, education, and social services to Palestinians in the West Bank, Gaza Strip, Jordan, Syria, and Lebanon. UNRWA considers 5.4 million Palestinians to be refugees, whereas it is estimated that global UN criteria used by the United Nations High Commissioner of Refugees would reduce that number to a little more than half a million. The “right of return” is one of the key core issues of dispute in the Israeli-Palestinian conflict. The Palestinians claim that over the five million people UNRWA has registered as refugees — tens of thousands of living original refugees from what is today’s Israel, and their millions of descendants — should be allowed to resettle in the Jewish state. Israel rejects the demand, saying that it represents a bid by the Palestinians to destroy Israel by weight of numbers, and argues that other refugees under the UNHCR are treated differently and much more quickly resettled.